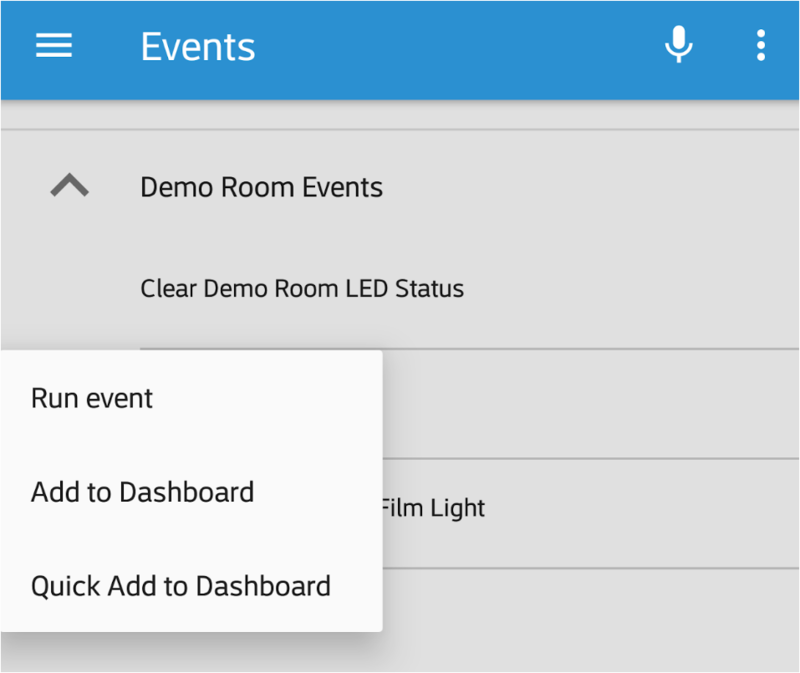 From the Events section of the app, the different event groups in your HomeSeer system will be listed. Tapping an event group will expand it to show all of the events in that group. Once the individual events are viewable, tapping one will open a small menu giving you the option to run the event. You can also long-press the name of your event to see the options above. When opening Events page in the app, all event groups will be listed, displaying the events within. Here, you can tap an event, which will open a menu at the bottom of the screen where you will see the option to Run Event.